Jeremy was admitted to the Bar in 1995. His practice encompasses a wide variety of jurisdictions, including commercial litigation, product liability, criminal, common law, professional indemnity, inquests and equity matters, both in NSW and interstate. 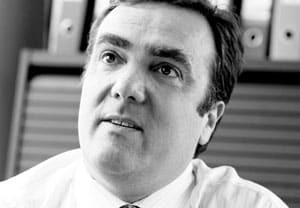 Prior to his admission to the Bar, Jeremy was a commercial and commercial litigation solicitor at Abbott Tout Russell Kennedy. Jeremy was a former member of the New South Wales Bar Council. He was also a former member of the Bar Association Professional Conduct Committee and assists regularly with the NSW Bar Practice Course. He has published, and delivered, papers on topics such as Professional Ethics and Case Management, Professional Ethics and Advocacy, Contracts Review Act, and Insurance. Doyle’s Guide has listed Jeremy in its Insurance Senior Counsel Leading Lawyers list in 2018. Jeremy holds a BA LLB from the University of NSW.